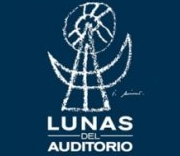 Last week the nominees for the tenth Lunas del Auditorio Award 2012 were announced and the Orquesta Buena Vista Social Club® with Omara Portuondo have been nominated in the African-American music category for their live show. The awards ceremony will take place on Wednesday October 31st at the National Auditorium in Mexico City. Here the list of all nominees and categories.